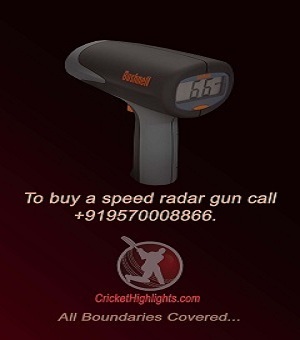 Is Poorna Patel Suresh Raina’s Girlfriend (Image)? There are thousands of searches happening on the internet. All trying to seek the answer to the same question – who is suresh raina’s girlfriend? Is it poorna patel (daughter of the Praful Patel, Cabinet Minister for Heavy Industries, earlier Aviation Ministry). Well what is it with cricketers and people trying to link them up or dream up who they are dating? 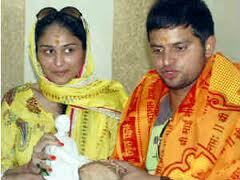 Suresh Raina and Poorna Patel were recently Spotted in Shirdi. Are they Seeing each other? Well rumours, speculations, it may just be that. Suresh Raina is young and has many years of cricket in him. Perhaps he is too busy planning his career and thinking of how to captain india to complete victory in the West Indies. Or maybe he does have a dream girl. Let the rumour mills grind! Please indicate below the emails to which you want to send this article: Is Poorna Patel Suresh Raina's Girlfriend (Image)? Posted in Uncategorized•Tagged Players, Poorna Patel Suresh Raina, Suresh Raina, Suresh Raina Girlfriend•by Anddeusq•107 Comments on Is Poorna Patel Suresh Raina’s Girlfriend (Image)? HI Raina………. i’m big fan of urs!! i want 2 meet u once…. u r the good player… i wish u have to play lng time for our india……. seeking this certain info for a very lengthy time. hey raina iam a big fan of yours.. you make us proud everytime you play…. hey raina iam a big fan of yours.. you make us proud everytime you play.. can i be your friend?? hiii………i am ur big fan raina sir……. i luv u raina…bst of luck 4 yur future. hi…………….raina this is vanya i luv u alot………. will u be my betterhalf? if u r interested then plzzzzzzzzzzz contact me at my id………………….. reply me asap………………..
hai raina, i m crazy about u and i have seen all d the matches that u have played for our indian team and i wish u have to play lng time for our india……. hello mr. admin i like your report. and i recpect your report too. you have very good knowleg. god give you more. i pray for you. sir i want to countect with you, to ask some things. plz send me e-mail and your countect number, i am very thank full to you. i luvvvvvv u raina…plz dnt marry her.she s nt a suitable match 4 u.u r soo sweet kashmiri boy…n i m a kashmiri girl..
hey raina… u deserve a gud grl yr plz find her. i think poorna patel do not deserve u… are apna nh to hmara to khayal krlo yr hm to marr hi jaenge verna….. n love u a lot dear n miss u n plz meet me plz plz plz plz ………. please mail me (www.sowmiya712@gmail.com) will uuuuu? i luv u swthrt …………i luv u soooooooooo much muah baby .. ………plz mujhse hi shaadi karna warna mai mar jaungi i luv u soooooo much…..
sanu its me whom u meet in meerut remember purple top …………………………………..
happy new year…….i wish all sucess of this year sanu……………. do u know his no? ppllzz sanu ur mine…n cnt see u wid other gal..n purna patel is not ur type..u deserve much beter dan her..i love u alot n im working hard to be ur friend.. I hv read wat Mr. Raina said on dis matter…’was jst a romour’…so i believe him…rgt my dear Raina? no way’zzz…..he’zz my my n my…. rite sanu?? I dont think so………He is such a gud guy that people cant making such stories about him!!!!!! I luv u a lot dear Sanu……………….! you can send ur message directly to raina through us . Keep your message flowing in. i wana meet him once..
wanna see u happy always. raina is mine…i cnt see raina wid othr gal..
hi da babulu u vry swt and charming. i like u r lip.